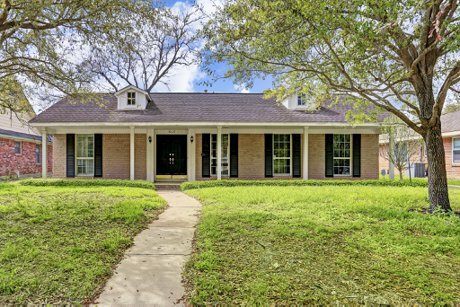 4035 Tartan Lane | PENDING in Braeswood Place, TX! 4035 Tartan Lane is a beautiful 8,671 square foot lot, located, close to Karl Young Park. The property flooded during Tropical Storm Allison and Hurricane Harvey, and is being sold as-is in its current condition. Now at lot value! Home is being sold 'as-is' in its current condition at lot value. Lot dimensions are 68' front, 70' rear, and the sides are 123' and 122'. Home has a great location just down the street from Karl Young Park. Good proximity to the Houston Medical Center, Downtown, Greenway Plaza, and the NRG Center. Zoned to Twain Elementary, Pershing Middle School, and Bellaire High School. Please check availability.